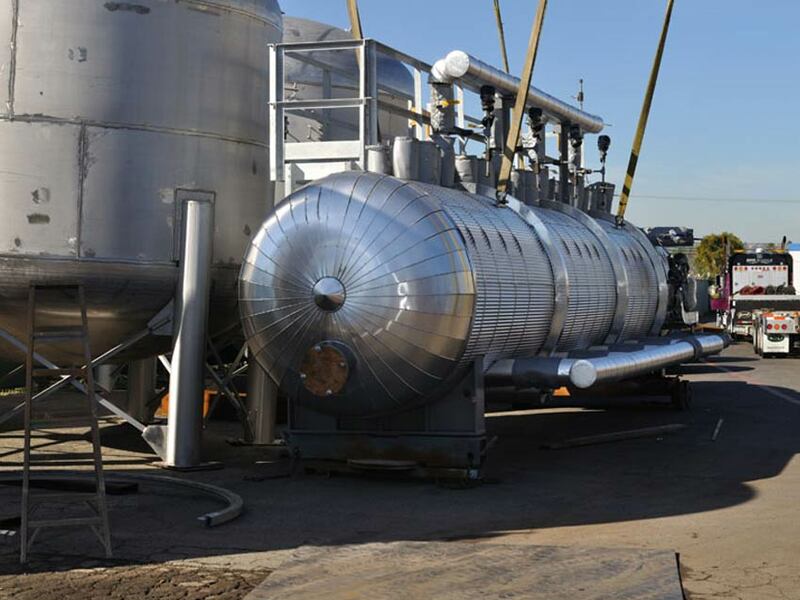 South Gate Engineering ASME Tangential Air Separators are efficient and economical. 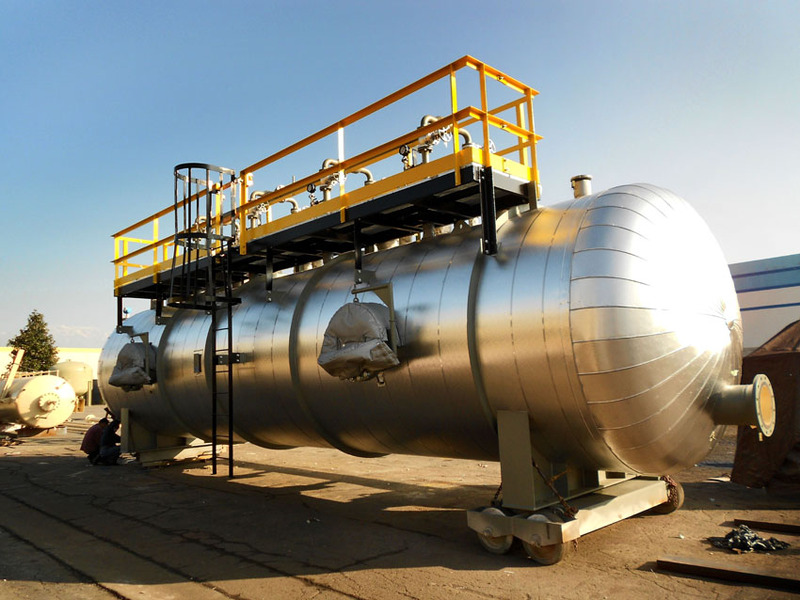 South Gate Engineering Tangential Air Separators are designed and fabricated in accordance with the A.S.M.E. 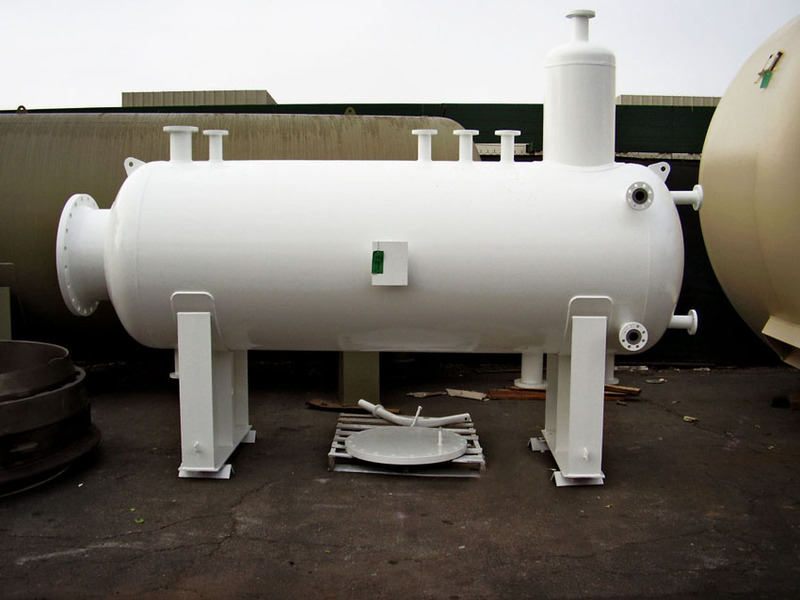 Boiler and Pressure Vessel Code, Section VIII, Division 1. Standard Tangential Air Separators are designed for 125 PSI at 400 degrees F. Other design pressures and temperatures are available. Consult the factory with your custom requirements. 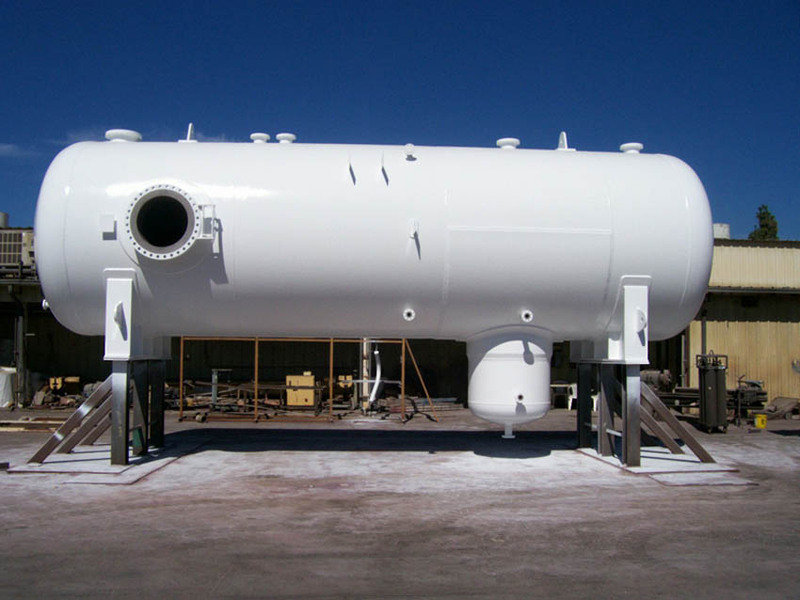 The tangential design of South Gate Engineering’s Air Separators creates a low velocity vortex in the center of the tank. This low velocity vortex consists of lighter air entrained water. The reduced velocity in this area allows the air to rise to the top of the air separator where it is vented to the atmosphere. The denser air-free water is forced to the outside of the air separator thru the outlet. For optimal performance, the air separator should be located as close as possible to the point of lowest air solubility within the system. 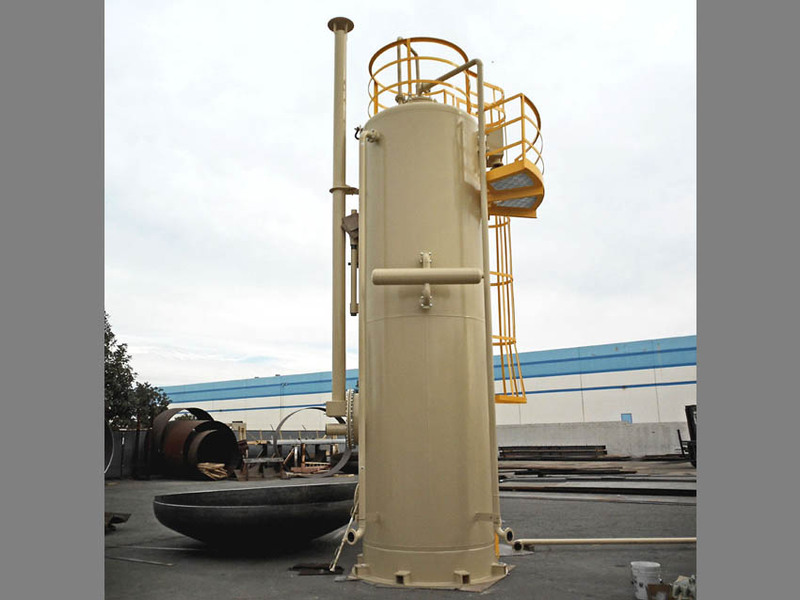 In addition, it is important that the unit be located on the suction side of the pump. Typical application hook-ups are shown in the proceeding figures. The design of a Tangential Air Separators is determined by two factors: minimum water flow and water velocity. The GPM flow rate shown in the proceeding chart shows typical sizes for a given combination of velocity and flow rate. Internal steel strainers are also available upon request. 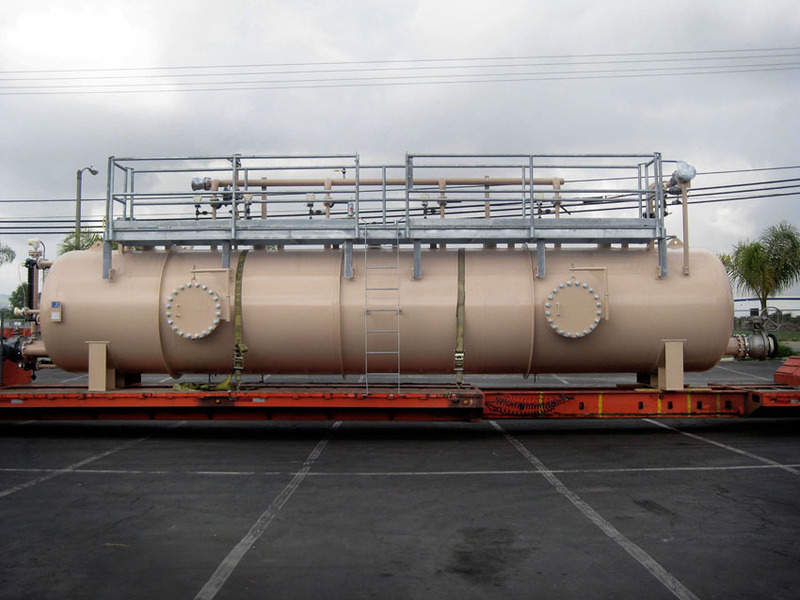 Non-standard air separators can be manufactured to specific customer requirements. Please consult the factory for pricing.